DREAM WIFE just might be the most exciting new indie-rock band of 2018. Throughout the album's 35 minutes these songs rock hard, without abandoning an indie sensibility, and with a catchiness and pop smarts, while never being mainstream. Here are 11 songs which explore feminism, romance (gay and straight - check out 'Somebody', both gay love song and ripost to sexualisation and objectification of women ), anger, and female sexuality (the New York styled punk of 'Hey, Heartbreaker', another highlight ). 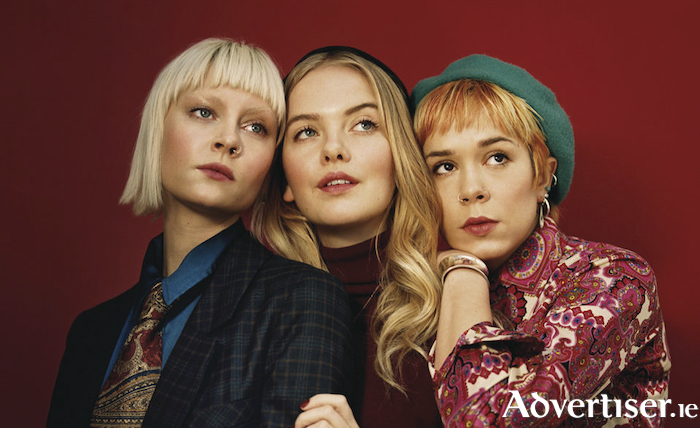 While the band is very much the sum of its parts - vocalist Rakel Mjöll, bassist Bella Podpadec, and guitarist Alice Go - indeed, more than the sum of its parts, Go is a big factor in why Dream Wife are such a thrill. Indie music is not a genre prone to producing guitar heroes - Johnny Marr being a noticeable exception - but to that very select club, Go can comfortably be admitted. Go's approach to the instrument draws on punk, classic rock, noise rock, r'n'b, and pop stylings, sometimes within the one song - listen to 'Taste', where she takes a Rolling Stones/'Brown Sugar' style riff and recasts it into a most natural fit what is definitive modern indie-rock. Hear the array of various, contrasting, approaches to the guitar she employs in 'Right Now' - a great showcase, but never at the expense of the song. She has a canny sense of when to hold back, when to go wild, when to be quiet, when to add that dextrous arpeggio, and when to hit the distortion pedal and let rip with the power chords. In that sense she is like Marr - an imaginative stylist who puts her guitar skills at the service of, and the needs of, the song, giving herself room to roam, but always mindful of the song's parameters. Many reasons then to cheer the arrival of Dream Wife. Dream Wife play Strange Brew at the Róísín Dubh on Thursday October 18 at 9pm. Tickets are available from www.roisindubh.net; the Ticket Desk at OMG Zhivago, Shop Street; and The Róisín Dubh.